All Food Asia takes their corporate social responsibility seriously. 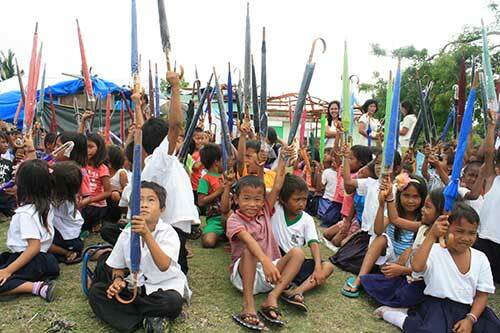 When the super typhoon Yolanda devastated Kinatarkan Island, part of the municipality of Sta. 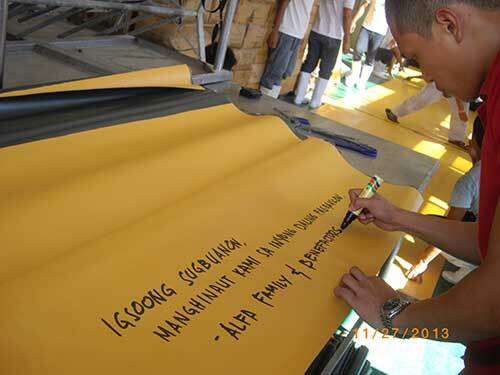 Fe Bantayan, Cebu – All Food Asia deployed much needed supplies to the island for those who lost their homes. Yolanda, or Typhoon Haiyan as it was internationally called, was one of the fiercest tropical cyclones ever recorded in the Philippines. It devastated various towns in the country, and one of the most seriously hit was Bantayan Island. People lost their homes and had trouble finding food, water, and clothing for weeks. There were also several casualties. Hundreds of volunteers from all over the country then mobilized to help the typhoon victims. As part of the community outreach of All Food Asia Inc., relief goods were sent out to Kinatarkan Island, Sta Fe Bantayan, Cebu. This was one of the heavily affected areas, on the same level as what Yolanda did to Tacloban. The residents were in dire need of food, water, sanitary supplies, and even clothes. Several kids were starting to get sick due to malnutrition. From November to December 2013, All Food Asia sent relief goods to Kinatarkan Island to help alleviate the difficulties faced by the residents. They sent out tarps or trapals – 1 tarp for each family. There were approximately 700 families in the town. 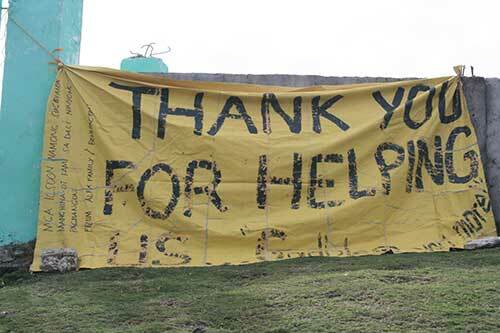 The tarps went a long way towards providing temporary shelter to the people while they rebuilt their homes. Part of the Yolanda typhoon relief sent by All Food Asia were 2 sizes of nails for house repairs. They also sent hammers, umbrellas for all elementary students and teachers of Kinatarkan Elementary School, and blankets for all families. When it comes to helping local communities in need, All Food Asia makes sure to do their part. They are always ready to extend a helping hand and the community outreach to Bantayan was just among the many outreaches they have done. For All Food Asia, we are one people and, therefore, must help each other during times of need.